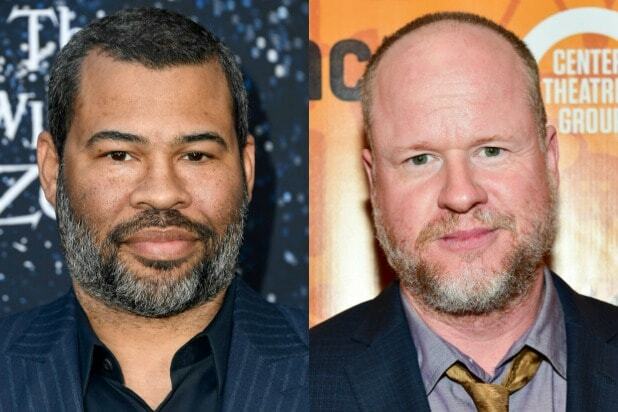 What do Jordan Peele and Joss Whedon have in common? Both prolific producers have ambitious HBO series that will soon be going into production. TheWrap spoke with Casey Bloys, the pay-TV channel’s programming chief, on Friday about the status of the “Us” director’s “Lovecraft Country” and the “Buffy the Vampire Slayer” creator’s “The Nevers,” two projects eagerly anticipated by fans of the Peeleverse and Whedonverse, respectively. And lucky for both camps, those series are about to start filming. “The Nevers” is described as an epic science fiction drama about a gang of Victorian women who find themselves with unusual abilities, relentless enemies, and are on a mission that might change the world. Whedon will serve as writer, showrunner, director and executive producer on the show, marking the first TV series he’s helmed since Fox’s short-lived “Dollhouse” in 2009-2010. Peele’s “Lovecraft Country” is a bit further along in the production process, with HBO having already shot the pilot for the series, which will be showrun by Misha Green. According to Bloys, the “Underground” creator is penning the rest of the scripts right now and that genre-bending show will also begin filming this summer. Based on the 2016 novel of the same name from Matt Ruff, “Lovecraft Country” follows Atticus Freeman as he joins up with his friend Letitia (Jurnee Smollett-Bell) and his Uncle George (Courtney B. Vance) to embark on a road trip across 1950s Jim Crow America in search of his missing father. This begins a struggle to survive and overcome both the racist terrors of white America and the terrifying monsters that could be ripped from a Lovecraft paperback. “Lovecraft Country” also stars Wunmi Mosaku, Aunjanue Ellis, Jamie Harris and Elizabeth Debicki. J.J. Abrams and Bad Robot’s Ben Stephenson will executive produce alongside Green and Peele. Hailing from Peele’s Monkeypaw Productions, the series is also produced by Abrams’ Bad Robot Productions in association with Warner Bros. Television. Yann Demange directed the pilot and will also executive produce.